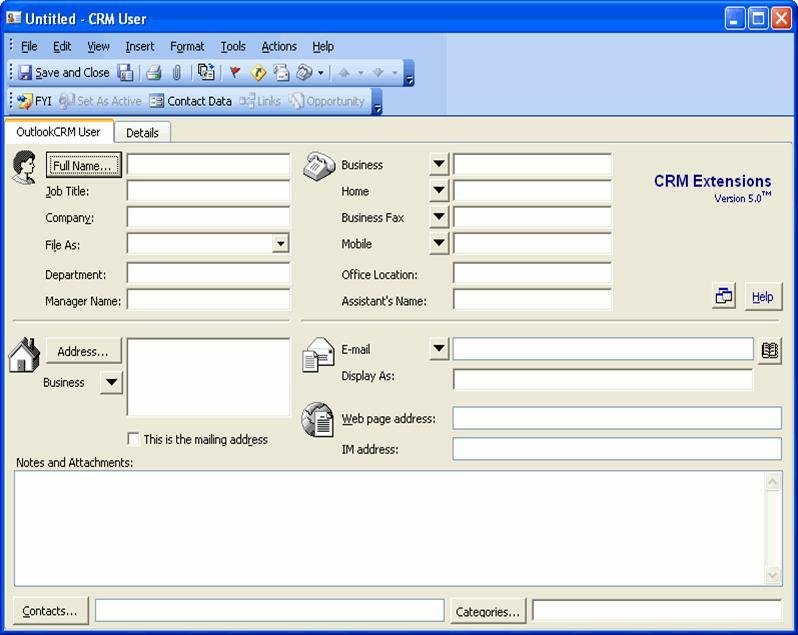 · Provides all of the standard functionality of the CRM User form. · This is the native Outlook “Details” tab. 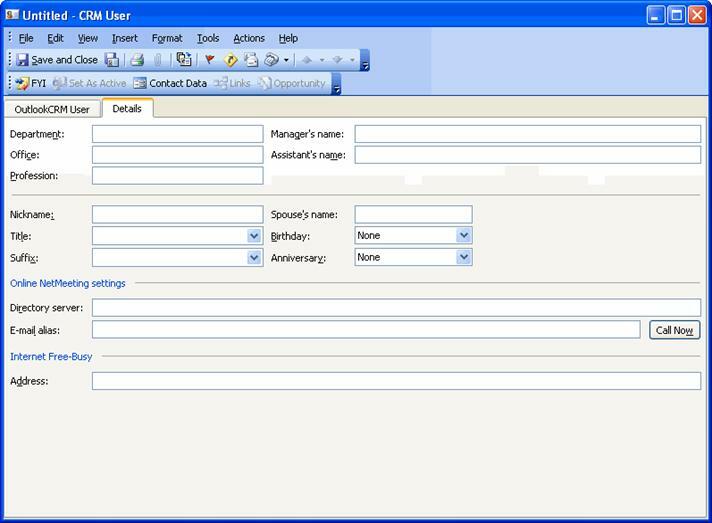 · Features and functionality are the same as with all other Outlook Contact forms. · Provides visibility of additional Contact information.